Aurora is one of our newest flower wall additions for 2019, and she’s just stunning! She’s filled with silk light pink and ivory peonies, and lots of heavy foliage. Our Aurora flower wall is 8ft x 8ft and starts at £200, depending on your venue. 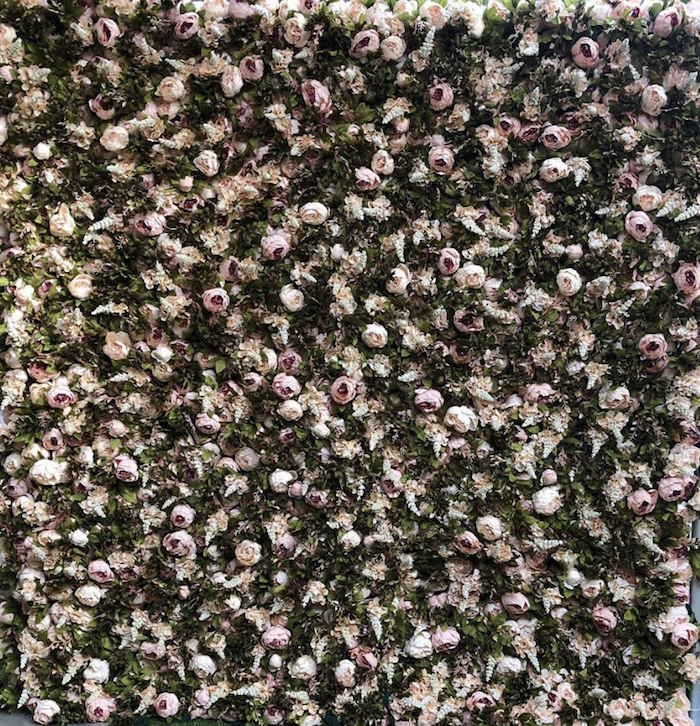 All of our flower walls are available to hire throughout Bristol and the South West, including South Wales, Bath, Somerset, Gloucester, South Gloucestershire, Swindon and Wiltshire. This entry was posted in Flower Walls, Weddings and tagged Bristol, bristol flower walls, flower wall, flower wall hire bristol, flower wall hire in bristol, flower walls bristol, flower walls to hire.